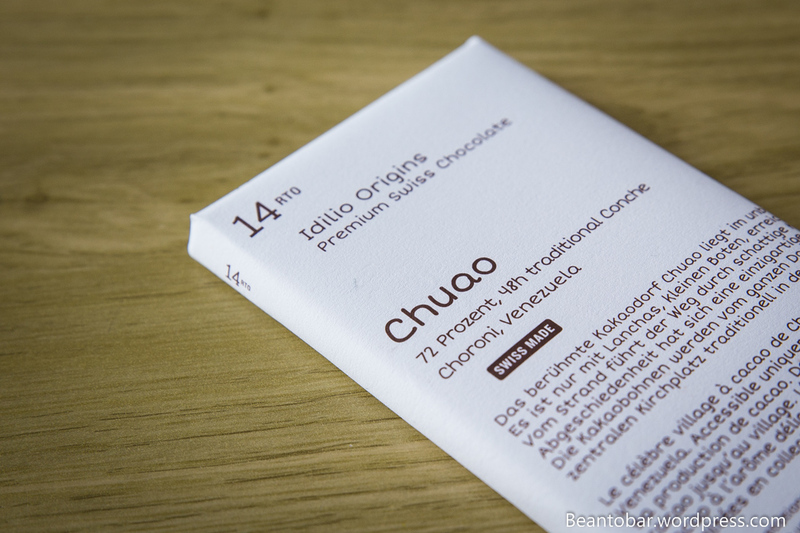 Chuao… if there is a single word that grasps the attention of real chocolate lovers, there you have it. Chuao, a little village in Venezuela. The origin region producing the finest Criollo cacao around. The crème the la crème! 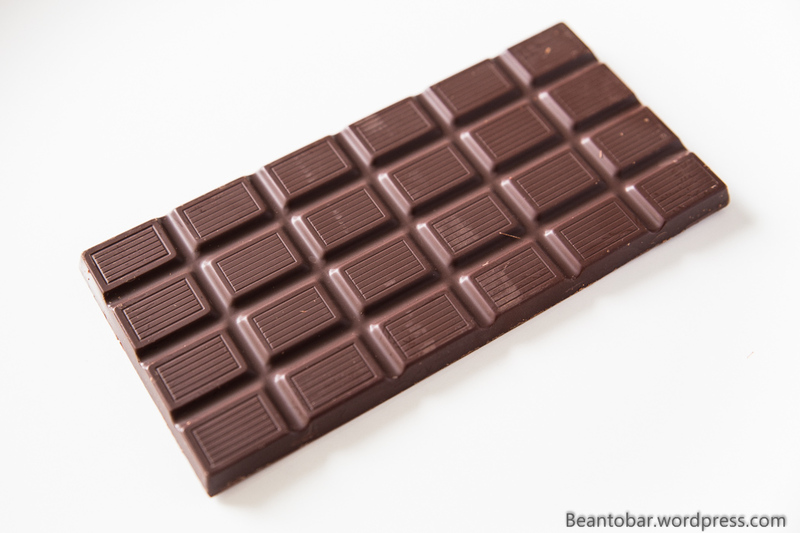 Many chocolatiers create a bar with cacao from this region. Today we have a Swiss bar on the table. 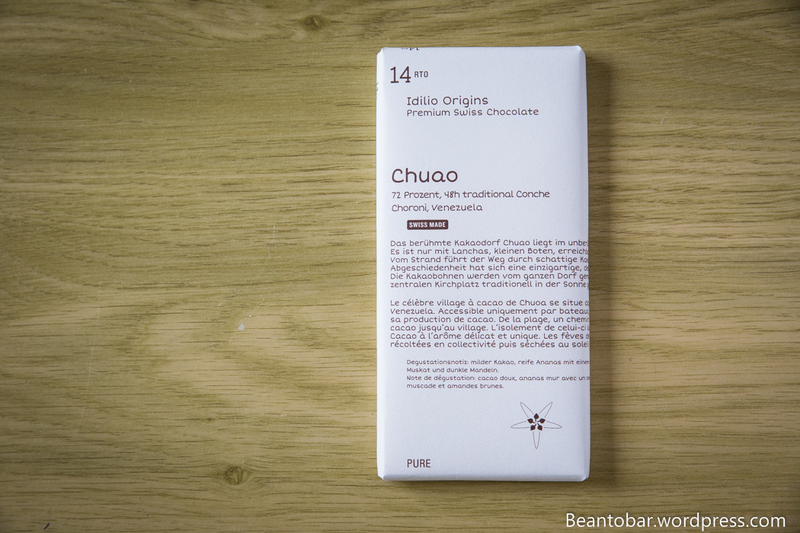 Chuao chocolate, as made by Idilio Origins. Idilio is a little different from other bean-to-bar chocolate makers. Idilio does a lot of research and development to help create crops of the rarest cacao varieties, especially Criollo. 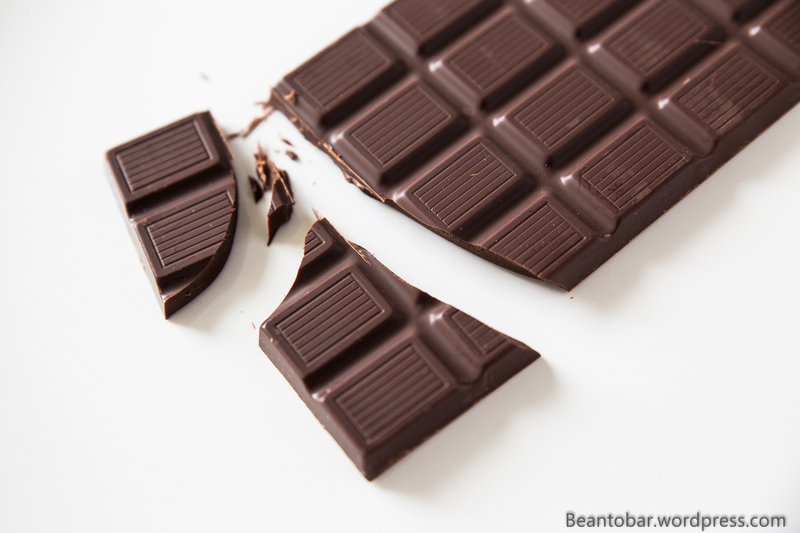 Once the have the basic ingredient, they ship it to Switzerland where the beans are turned into chocolate bars by Felchlin. Felchlin isn’t a small company, but they are devoted to deliver the highest quality. When you combine the knowledge and the craftmanship of Idilio and Felchlin, the results are stunning. In front of us lays a nice bar. 80 grams of chocolate, wrapped in a white paper wrapper. Simple text and little graphic elements. This almost feels like a laboratory report or a book. The origin is clearly Chuao, 72% and traditionally conched. No modern mixing machines, but old school conching to achieve the best results possible. A little text in German and French offers a little info on the Chuao origin. The cacao is sun-dried and is the pride of the village. Inside the wrapper you will find an aluminum foil and the tablet itself. I was a bit surprised it isn’t super shiny. Perhaps a stock problem or did it leave the production site like this? I can only guess. The aroma however is simply divine! Once more, the design is minimalistic and functional. 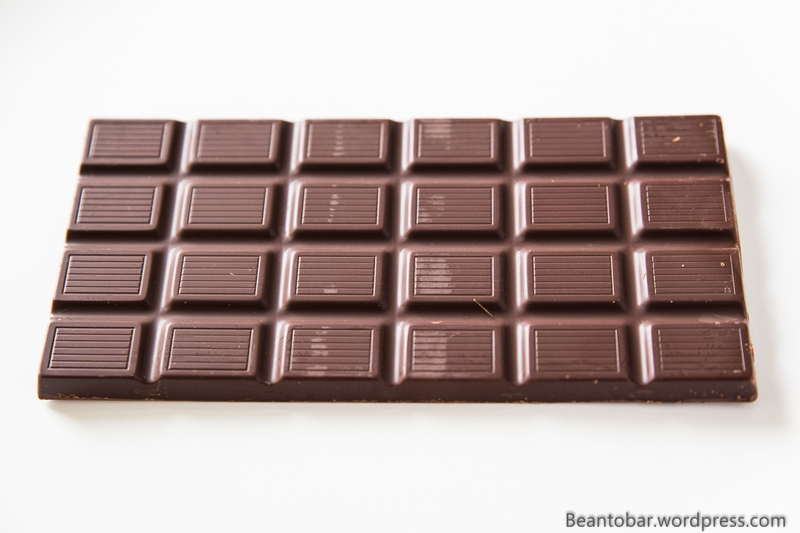 This bar isn’t about being pretty, it is about taste! Taste: Opening with a quick and sweet start, hazelnuts and toasted bread pop up, with underneath a heart of yellow fruits, plum, raisins and apricot that slowly rise in potential a midst a lot of luscious chocolate. They are joined by a very subtle bitterness adding just that bit of power to the overall taste to keep things interesting. The overall aroma is warm in nature. The snap is rock hard and the melt simply divine. The piece seems to release layer after layer of super smooth chocolate entwined with all the other aromas. Nothing jumps out. Instead you get a unique, balanced chocolate flavor that builds in momentum and makes you enjoy every second of it. By the end of the melt a little burst of smoked wood guides you to the aftertaste. 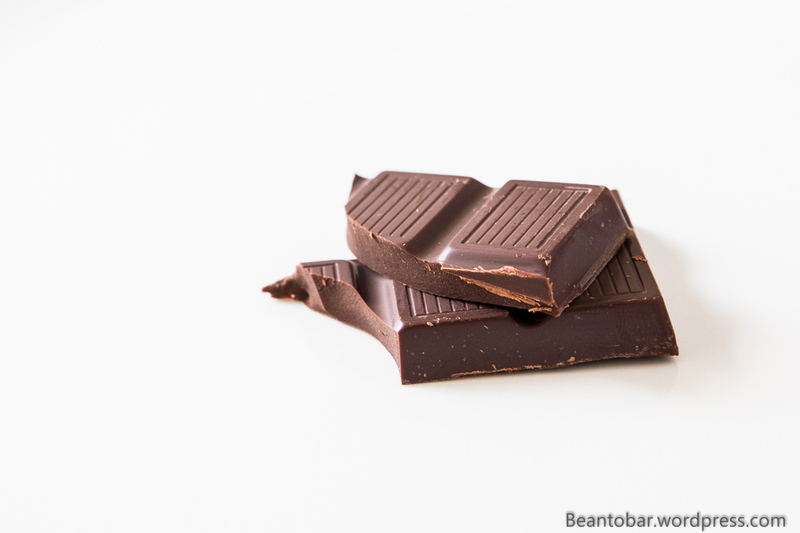 Chocolate a plenty in the aftertaste, where the more mature woods, returning roasted hazelnuts and cacao take the lead. An extremely enjoyable chocolate bar, showing of all the talents of a good chocolatier, combined with the Swiss masterclass of Felchlin. Don’t let this one slip if it crosses your path!